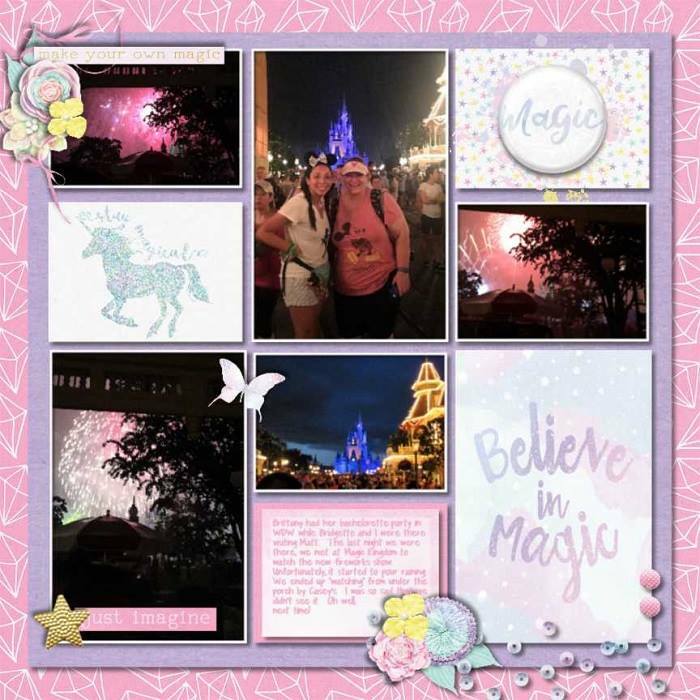 It is Sweet Shoppe's 12th Anniversary! That means fun games in the forum and fabulous new releases. 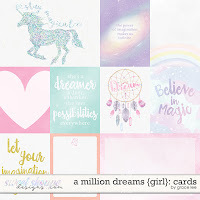 A Million Dreams (Girl) is inspired by sugar and spice and everything nice. 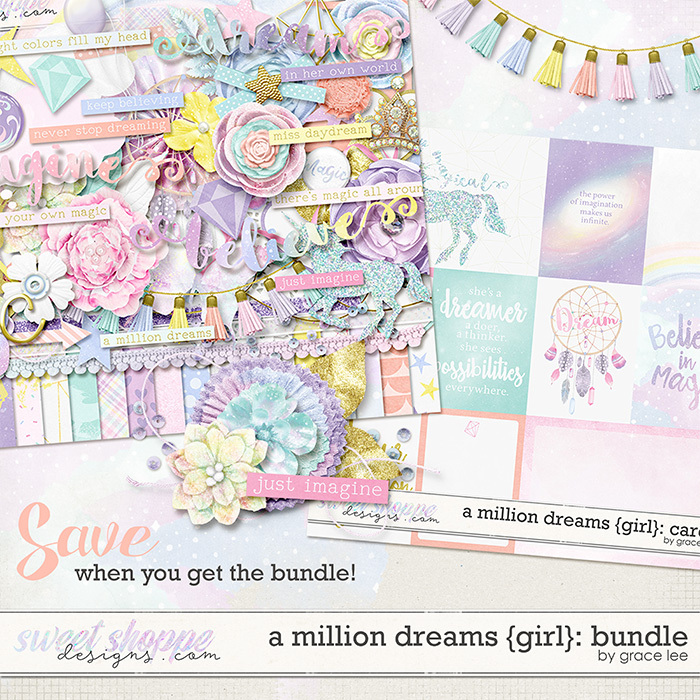 Gorgeous pastel papers and elements will help you create countless layouts of little girl's imaginations. 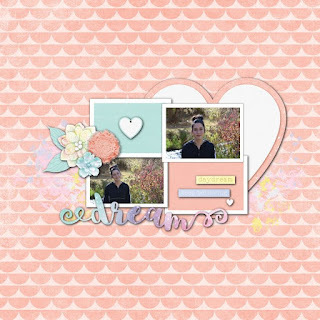 Perfect for birthdays, fairytales, playtime, weddings, and a million everyday dreams. 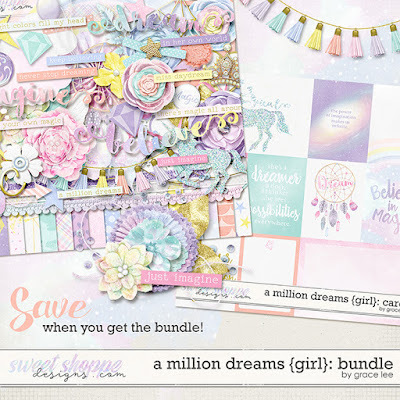 A Million Dreams (Girl): Bundle contains the kit and the journal cards.